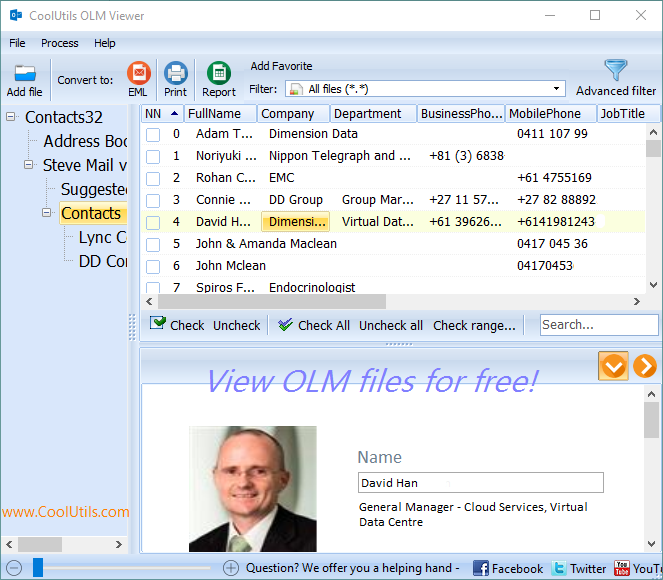 Free Coolutils OLM Viewer helps you open and view OLM files. Archived e-mail messages, contacts, and other items from Mac Data File can be opened on any Windows computer without Outlook or any email client, just use our free viewer. Add your OLM files and view the data immediately. Simple workflow: import OLM file, preview each item from the list by clicking on it. Print selected email or contact. 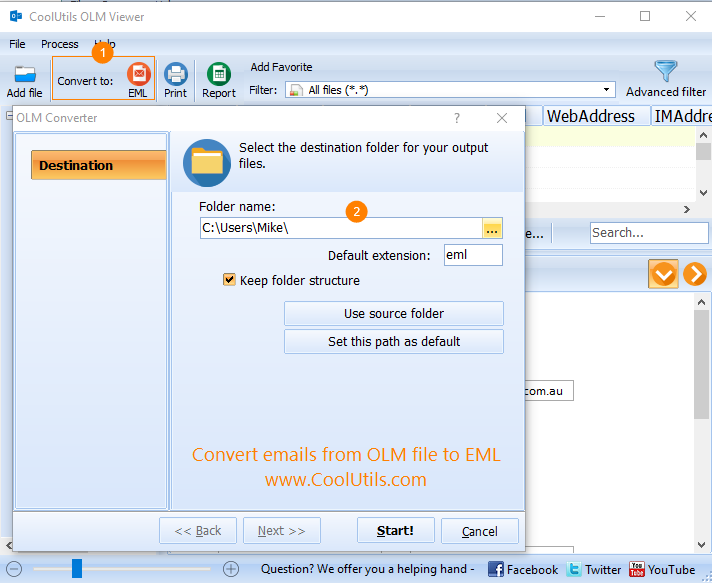 Convert emails from OLM to EML files. CoolUtils OLM viewer is free for personal non-commercial use. Download your copy now to get access to the contents of OLM files without MAC. 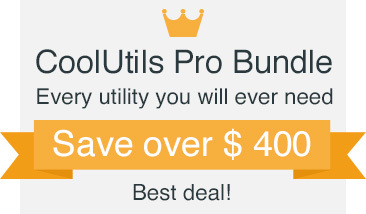 Have problems with other unsupported file types? We've been developing file converters since 2003, so we know a thing or two about all possible file types. Contact us and we will offer you a solution. "The OLM viewer worked great for me! I was able to get all the contacts I need from my old Mac file. Thank you!" "Thank you for your free OLM viewer! I used it to recover data from OLM file that I could not open by any other free app. Keep the good work!"